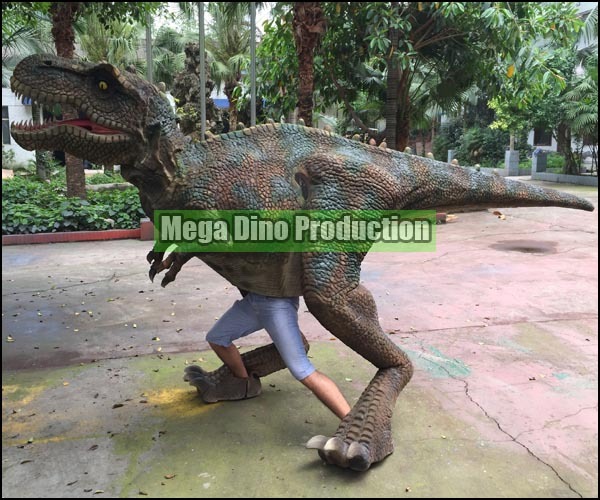 In 1st June 2015, we tested two Dinosaur Suits as Tyrannosaurus Rex and VelociRaptor! Today, it is International Children's Day! Many kids went out of schools and enjoy their holiday. In the holiday, seeing DINOSAURS was good choice. We prepared to trnasport the suits to Dinosaur Museum, Zigong and performers put on suits to please the children. We can customize Walking Dinosaur Equipment!! 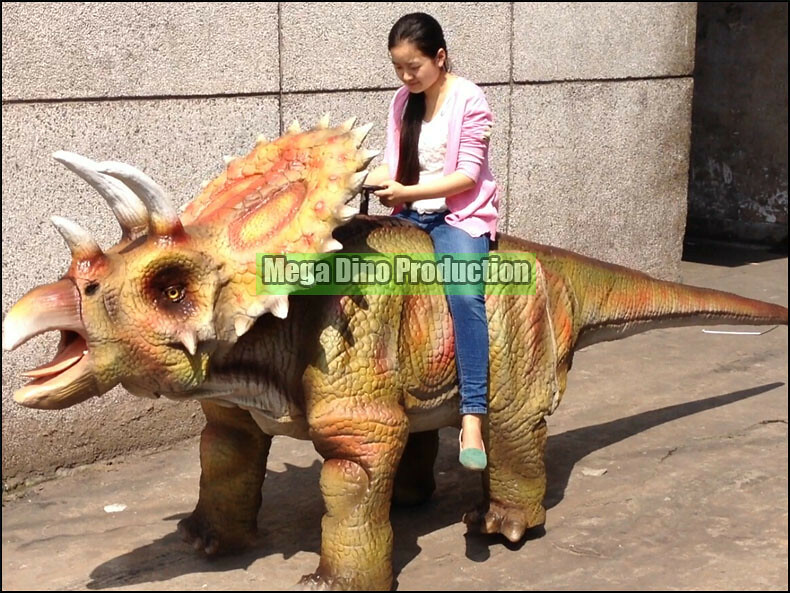 Children can ride the equipment as brave Jurassic Warrior and press start button to make dinosaur ride walk slowly. The funny riding equipment is popular sales from our buyers who business events. They can got pay from ride. In 21th April 2015, we welcome one sunny morning and take our Tyrannosaurus Rex Pet out for stroll. Look! The pet walk slowly and enjoy warm sunshine. The Tyrannosaurus Rex Pet cherish these days which staying with us. One week later, it will be shipped to Rio de Janeiro. Enthusiastic Brazilians take over their cute pet with passion. Do you want to play with Tyrannosaurus Rex Alive? I am not joking! It is real! We can ask our Tyrannosaurus Rex Alive to play with you. It is very docile except you take meat to tempt. In our base, we foster Juvenile Tyrannosaurus Rex as pet of human. The people can have intimate touching to most fierce Prehistoric Creature. 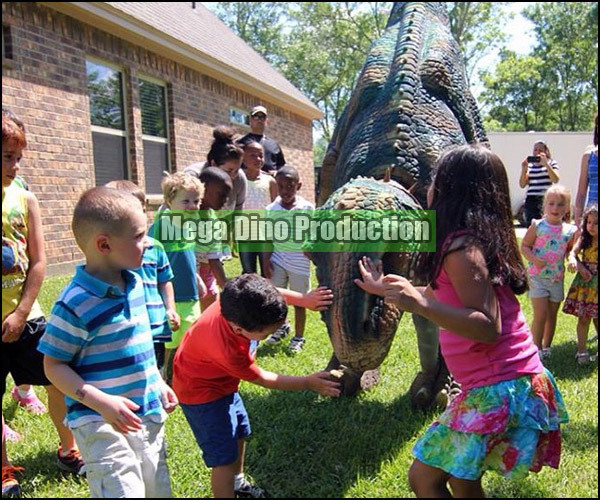 We have to say that Dinosaur Egg is available of popularity of kids. 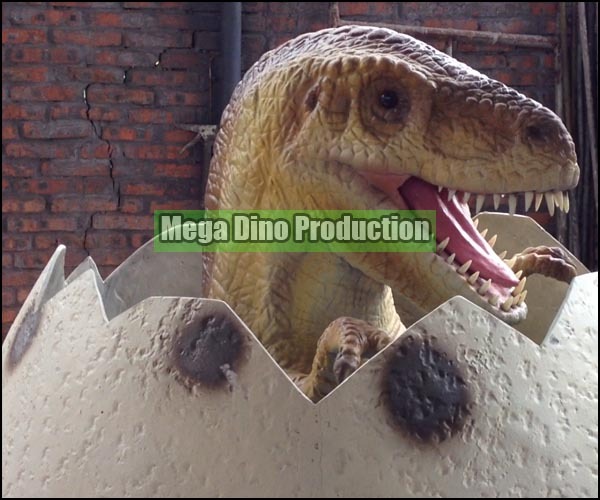 Basically, visitors go inside the egg shell for taken photo in Dinosaur Exhibition. Mini Dinosaur Egg Product is customized as its height and length. Customized egg shell can be display on site where is specially set by exhibition designer. 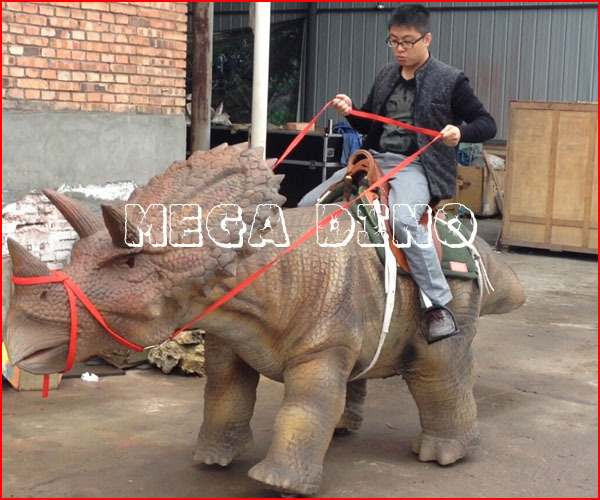 Who want to tame wild Triceratops, and make it be your Dinosaur Ride? Does any warrior accept the duty. It is impossible mission to people who do not know our DINOSAURS. To us, dinosaur is tamed animal. We can control them and look them as pets. Herein, we introduce our Triceratops Ride to people. The ride is cute and excited to be shown the public. 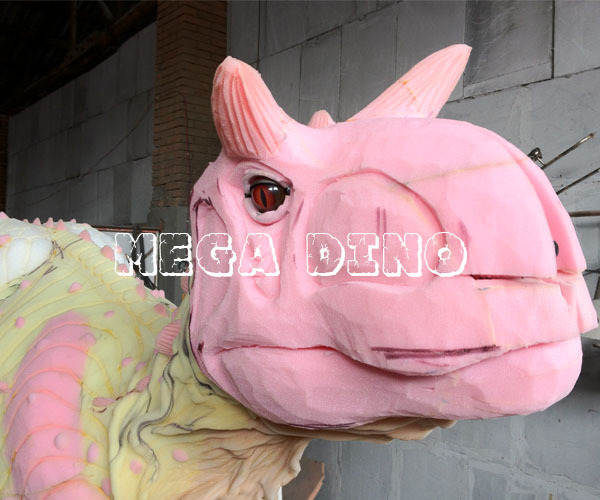 We believe that making 30 meters long Dinosaur Model is rare in our Animatronic Industry. Huge Monster Model is involved to dismantle and install project. That cost our much time and energy. The day before, our project staffs came back from UK. They install several huge models and dide hard work. 30 meters long Argentinosaurus Model made us have hard work. 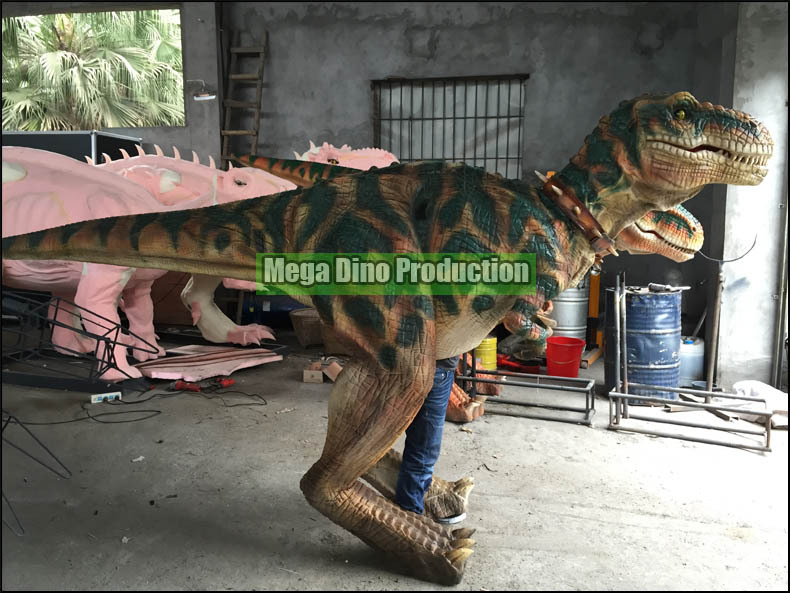 Mexican client show dinosaurs outdoor at the beginning of new year. Over thousands visitors had been there to witness NEW YEAR 2015. On sunday(2014.12.14), I and my friends went to Dinosaur Museum of Zigong. Because of good sunshine, we decided to have fun trip at suburb. Dinosaur Museum was our first trip tour site and I also took some photos about our new project. 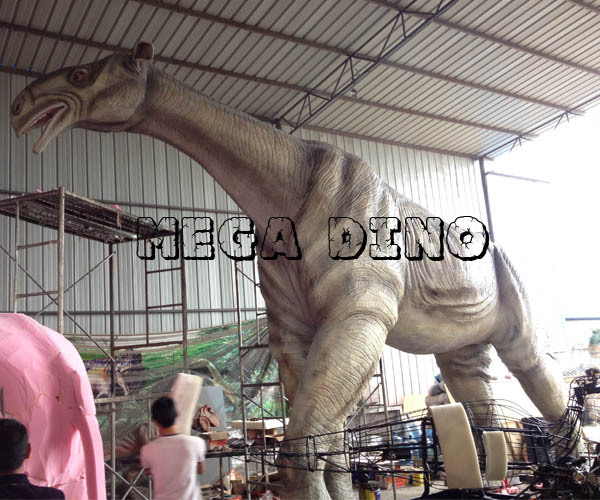 Recently, we made one 1.2 meters long Fiberglass T-Rex Head for CHINA POST, Museum. As new decoration of museum, head was display on outdoor to be visible for visitors. In 5th Novermber 2014, our all staffs got in hurry works that Dinosaur Products Delivery. At that time, we had over 90 pieces of item to be load on truck. That was big project. We had three big dinosaur models as 12 meters long T-Rex, brachiosaurus and Omeisaurus. We call five 9 meters long transfer-trucks to factory for transfering the items. Then, we reload the items on two 17 meters long truck. 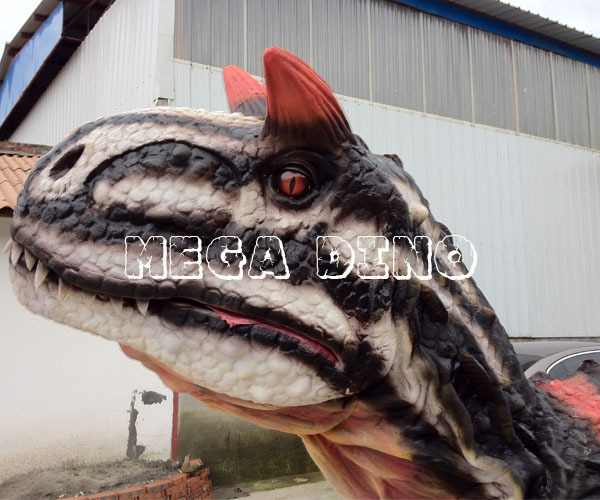 We customize 16 different Animatronic Dinosaurs for our British client. The 16 moving dinosaur replicas belong to second order from client. 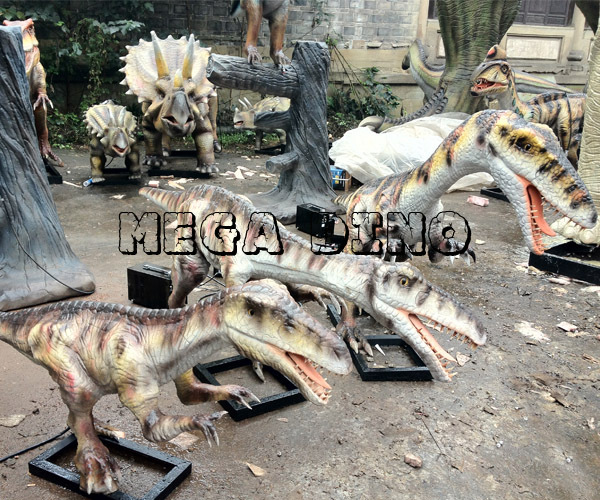 In first order, our client orders 24 different dinosaur replicas with lifelike roaring sound and movements. As known as the public, Chinese have 7 days vacation on October. We call it as Golden Week for enjoying our national holiday. At that time, lots of people will choose to travel. So, business is rising at that time. Our domestic Dinosaur Rent Market always be hot. 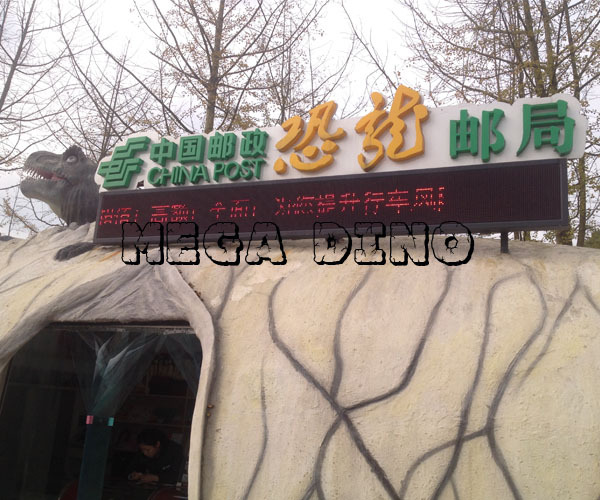 In Golden Week, our renting dinosaur business will be more popular. We always keep over 20 different dinosaur models in our facotry for the market. 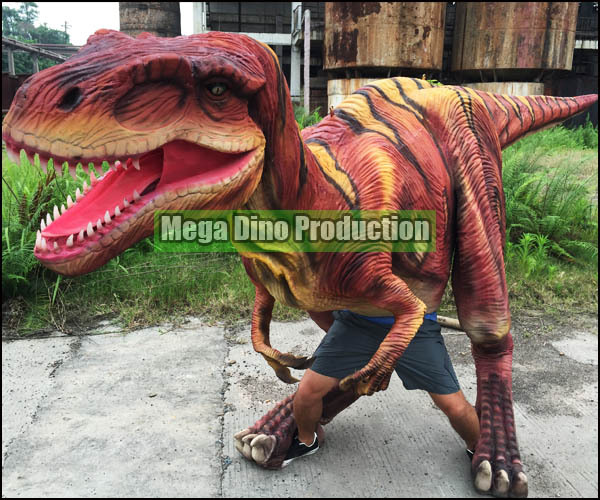 As known as the public, Walking Tyrannosaurus Rex and Velociraptor is the most popular to market. 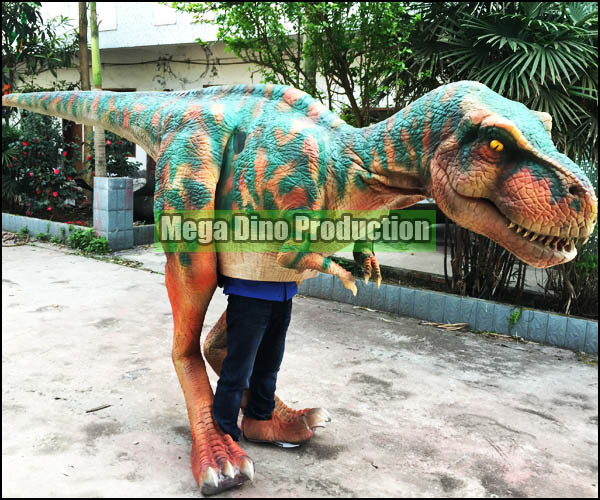 After many clients buy two popular costumes, ask for more different species dinosaur suit. 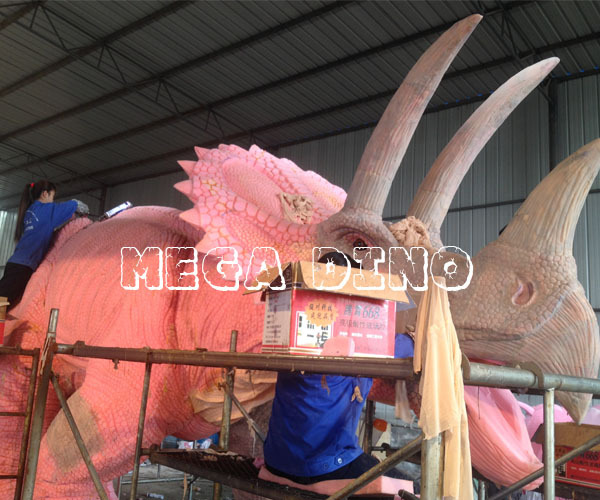 In order to meet bigger market, our making team strive for producing more different dinosaur suit. 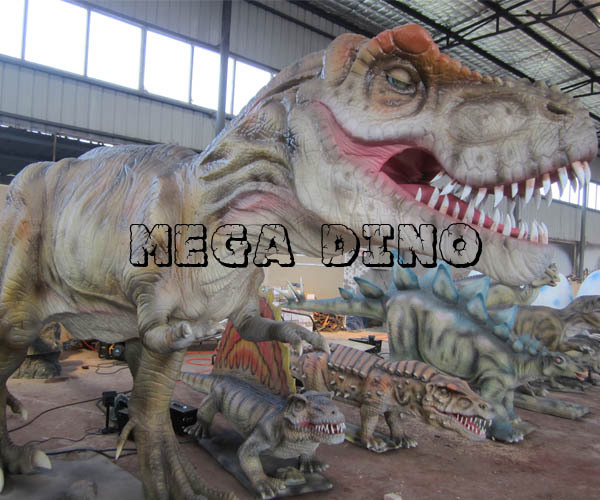 Recently, we have made three new Walking Dinosaur Products. The new products are respectively Carnotaurus, Dilophosaurus and Dragon. Except for Ice Age Mammoth, Woolly Rhinoceros and Gigantopithecus cost most time to be made. Because of their fur-grafting, our manufacturing workers have to glue artificial fur on bodys one by one. After fur-grafting, workers comb directly fur as natural as possible. Because of the strict production procedures, two Animal Models from Ice Age looked so natural and beautiful. 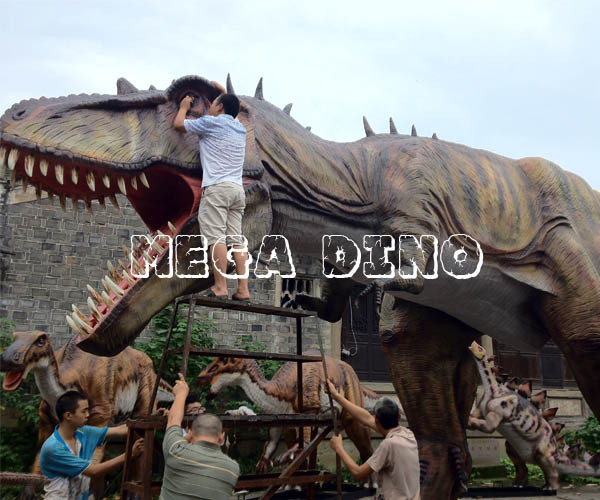 Personally, I prefer to powerful Gigantopithecus Model like one love figther "King Kong"
In 25st July, we have finished all 20 Customized Dinosaur Models. The models made for our British client and deliver the models to departure port(Shenzhen) before 5st August. Two largest dinosaur models respectively are 15 meters long Animatronic Tyrannosaurus Rex and 25 meters long Animatronic Apatosaurus. We plan to use 4 containers to pack them. (Through our detailed calculation, 4 containers is absolute capacity for them without any difficulty) We try our best to use 3 containers to achieve packing goal under the condition of using enough space and having no any damage. We try our best to help our clients to save delivery cost. Our Italian exhibited three Custom Design Dinosaur Models in Milano. 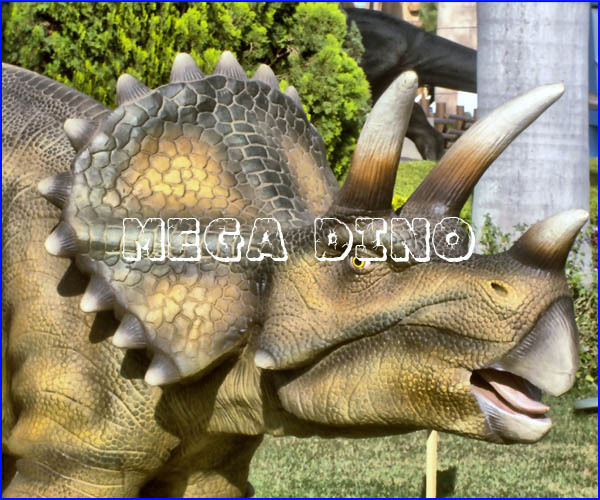 Three models are respectively 12 meters long Animatronic T-Rex, 10 meters long Animatronic Triceratops and 20 meters long Animatronic Apatosaurus! The dinosaurs suddenly became most shining stars in Fashion City and draw countless people's attention & screams! Recently, we made 17 Ice Age Animal Models for our Colombian client. Three animal models are the most popular as Mammoth, Gigantopithecus and Paraceratherium. Three hottest models always be clients' sales orders. 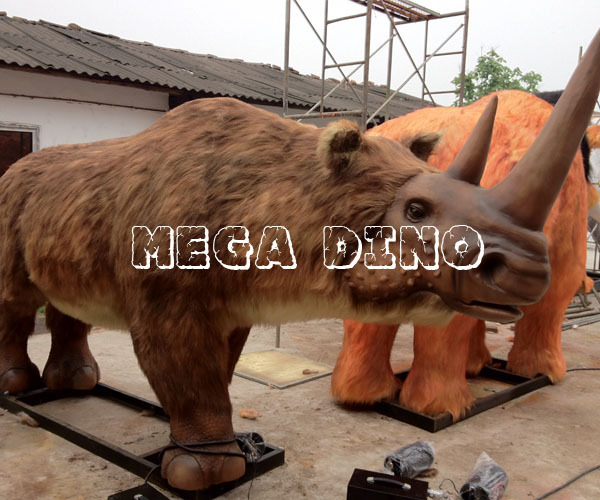 We specially promote Animatronic Paraceratherium to the interested buyers. This is 9 meters long and 5 meters high Animatronic Paraceratherium. It stands on our factory like a huge horse. Powerful! !